District 3 – November 2012 – Lincoln Nebraska A.A.
Secretary’s Report: Sheila H. read the October 10, 2012 District 3 Meeting Minutes which were approved. Darrell will be double checking to confirm that District 3 has paid rent through December of this year. Will be attending the Area 41 meeting November 10th and 11th. There has been no additional contact with groups in District 3 since the last meeting of District 3 due to the limited time between meetings since the last meeting was rescheduled to a later date. There was discussion about the four corners workshops. GSR’s should seek input from their groups to see if there is an interest in District 3 hosting the 4 corners workshop, which would be in the 4th quarter of 2013. This would involve finding a location for the workshop, Ideas of what the workshop would be about and the need for service work/manpower. Bob will get more information about what it would entail. What is the purpose of the Area Committee, and are we fulfilling that purpose? How could the Area Committee Meeting be improved? How effective is our communication? How well do we select and support our Trusted Servants? How well are we using contributions to provide services to the groups, the fellowship, and the still suffering alcoholic? Do we operate on the general principles of the Concepts? Is our meeting an arena for spiritual action? Are there any issues or questions that have not been addressed by this inventory? For someone living a long distance from the site of the Area 41 Meeting, a choice between personal finances and good service leadership is often necessary. It is difficult to be a good, effective service leader when one must drive four to six hours before the start of a 9:00 AM meeting because one cannot afford the hotel cost for the extra night. Additional Background: The Area 41 Finance Committee voted to re-word the original item by removing the phrase “service positions.” The sense was the “service positions: included some non-funded positions and this item was not intended to include those not funded by Area 41 for lodging. The committee unanimously recommends this item after considering where Area 41 meetings are usually held and where a larger percentage of our trusted servants reside. For example, when Area 41 meetings are in North Platte, trusted servants from Lincoln and Omaha live within 300 miles so would not be included in the extra night. Impact to the 2013 budget would not occur, as all current Area 41 officers and committee chairs live within 300 miles of North Platte. Original Background: This is not an attempt to raise the mileage rate that was just set last year. It is an attempt to set it so the Area, in theory doesn’t have to re-visit this issue again. The previous Finance Committee recommended the 40% rate, but it was only submitted as background, and was not presented as an item on the agenda. Additional Background: The original agenda item stated “Area 41 reimburse mileage to officers and committee chairs at 40% of the federal rate.” Finance committee referenced background material for agenda item 2011-1-22 #004, which was passed by area 41 in September of 2011 by a vote of 35-0. A repeat of the background information is: The Finance Committee is recommending an increase in Area 41 mileage reimbursement due to increased fuel costs. The last revision to the Area 41 mileage rate was in 1998, when gas was $1.03/gallon. The average cost for Nebraska fuel in 2010, however, was $2.71 (IRS fuel ratings website). In 1998 the Federal standard mileage reimbursement rate was $0.33. Hence the $0.15 rate was 46% of the Federal rate. In 2010 the Federal rate was $0.50. Hence, the $0.15 Area 41 rate had dropped to 30% of the Federal rate. The Area 41 Finance Committee recommends and is proposing the $0.20 reimbursement rate, which is 40% of the Federal rate. The Finance Committee recommends that future Area 41 reimbursement rates maintain this 40% rate mark. The current Area 41 Finance Committee recommends that the 40% of the Federal rate should be maintained so that the mileage rate might go up or down, but does not have to be discussed and voted upon every time. The majority vote of the committee was that the rate should be rounded up to the nearest nickel for ease of calculation. Discussion: The intent is good. The way that this is written, by rounding up to the nearest nickel there would be a great impact on the budget and submitted mileage reimbursements, examples were given. Overall, if the rounding was not in the item, then it would be a good item. Discussion: The format in the Nebraska News is poor and calculations did not all show correctly. There will be Elections of the nominee for Trustee-at-Large in November at the Area 41 Meeting Saturday night. GSR’s received the qualifications for this position, there was no interest in standing voiced at the meeting. There was discussion about the 4 Corners workshop. There was a proposal to discuss with District 22 about the potential of partnering with District 22, and hold the workshop together. DCM’s will discuss this at Area 41 meeting the weekend of November 10th and 11th. If District 22 no longer wishes to hold the workshop alone or together District 2 would like to talk with the Workshop Chair at Area 41 to move forward with holding the 4 Corners Workshop the 4th quarter of 2013. The attendance has gone up this year, with good speakers for each meeting. We have one 10 minute speaker and one 30 minute speaker each week. Our group will be having elections for the yearly service positions November 12, 2012, this will include the addition of an alternate GSR position. ( GSR Sheila H.) Will be attending the Area 41 meeting November 10th and 11th. Attendance is good as a whole when considering all of the meetings together. HIW held emergency elections for positions. GSR( Seth H). Will be attending the Area 41 meeting November 10th and 11th. 60 Minutes Group – Diane H.
The group is working on making contributions, and the new GSR will be attending the November Area 41 Meeting. 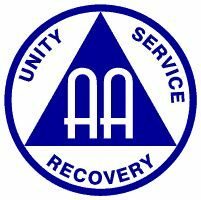 (GSR Diane H.) Will be attending the Area 41 meeting November 10th and 11th. Closed at 7:53 pm. Next Meeting will be held December 4, 2012 at 28th and “S” streets 2nd floor at 7:00 pm.